I spent the weekend in Portland, Oregon for the 2011 Net Impact Conference. The conference brought together a couple thousand students, academics and professionals to discuss the latest developments in the fields of CSR (corporate social responsibility) and Sustainability. I’ll write a post about the conference in the next couple of days, but first I want to share a few ideas which were sparked by the St. Louis Cardinals’ unexpected World Series victory. To Live & Die with Your Team? Growing up in St. Louis you have two choices: swear you allegiance to the Cardinals and peg your mood to their fortunes, or face the perils of ostracism. Case in point, on the day after game 1 of the series my office was buzzing with excitement after the Cardinals first win. The next day, after the Rangers came from behind to win in the ninth inning, a pall was cast over the same office. Around 4pm a co-worker noted the co-dependence the city has with the team and asked if I had heard anyone mention the Cardinals that day. I had not. Over the years I have attempted to divorce myself from what I think of as manufactured importance. Whether or not a team wins or loses a game, we’re still going to wake up to a world of seven billion people and roughly a billion of them will have gone to bed hungry. But every once in a while something magical happens, drawing me back to a game. I still get excited when sport offers the opportunity to act as a metaphor for something bigger. I’ll offer two examples here which I think are highly relevant to the challenge presented to us by climate change. 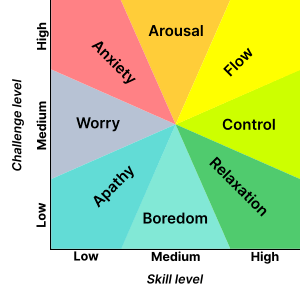 Professor Csikszentmihalyi suggests flow (high challenge/high skill) is the inverse of apathy (low challenge/low skill), as shown in the following diagram. I view this chart as a productive tool in helping us understand the public’s response to climate change. It’s an incredible challenge which few of us have a high enough level of skill (This can be viewed as an understanding of the science, and an obvious path to directly impact the outcome in a way that feels significant.) to feel confident that we can have a positive impact. It’s no wonder so many people feel paralyzed by fear of the subject, or outwardly deny the facts. Fortunately, it’s not too late to make a difference. What we need to do is move the collective consciousness from the state of anxiety, towards one of flow. To get there, we need a major change in tactics. We have to stop trying to scare and berate people and start finding more productive ways to communicate. The dangers are very really, but we need to share them in a context which suggests ways for people to engage in solutions. If we drop the shrill tones, and start promoting opportunities, I think we’ll see the collective mindset start to shift. 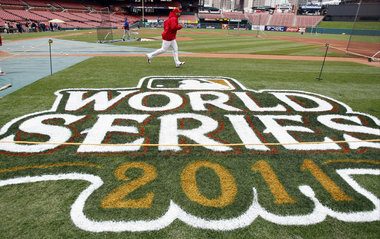 As of August 25, the Cardinals needed to make up 11 games on the Atlanta Braves just to make it into the playoffs. The Cardinals made a run from that point winning 23 of their next 32 games, while the Braves collapsed winning just 11 of their final 31. On the last day of the season, a loss by the Cardinals, and a win by the Braves, would have sent the Cards home for the winter. The Cards passed their first major test by winning their final game, but they had to wait to see if they would have to play a one game playoff. The Braves carried a 1 run lead into the ninth inning, but the Phillies tied it up and then won the game in the 13th. The Cards went down 2 games to 1 against the Phillies in the NLDS, necessitating wins in the final two games to advance to the next round. The NLCS gave the Cardinals their only breathing room of the last 9 weeks by wrapping up the NLCS in 6 games. Eons from now, baseball historians will write about the incredible two months of 2011 when the Cards shrugged off seemingly insurmountable odds to bury Major League Baseball’s best en route to the sport’s biggest prize. The Cardinals quickly silenced skeptics who suggested it was asking too much for them to stop the hungry Rangers in a winner-take-all Game 7 on Friday night after their draining, historic comeback the night before. How do I tie this back to climate change? It’s simple really. It’s getting late in the game and the odds are piling up against us, but that’s no reason to give up. The Cardinals run shows how a change in direction can steamroll with determination and maybe a bit of luck. It’s time to get serious with our decision-making. As we tick past the 7 billion mark in population, we’ve got to stop acting like we’re living in a 1950’s world. Take-make-waste linear thinking may have seemed okay when there were half the number of people around, but it certainly won’t work today. 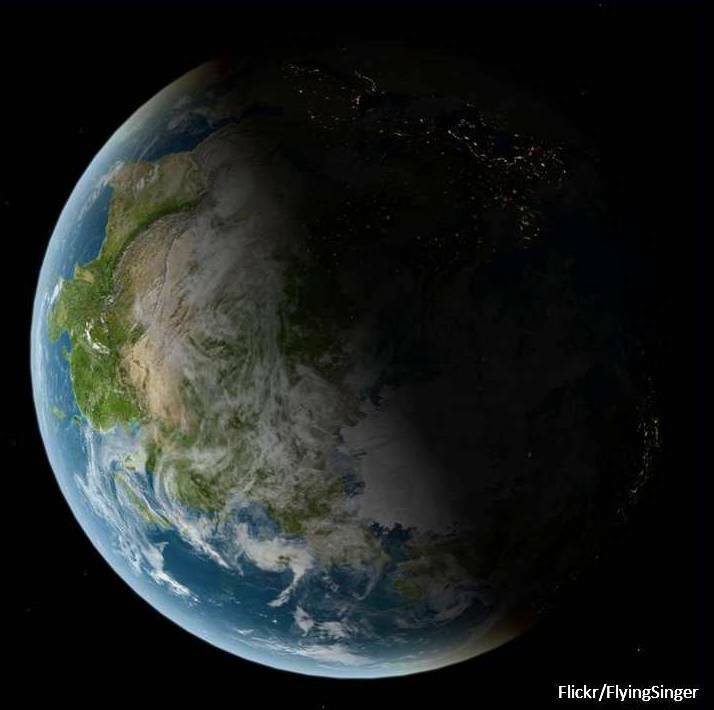 Know one knows exactly when climate change might ratchet up to a catastrophic tipping point, but I think we need to start acting as if that moment is upon us and that our every decision matters. I’m cautiously optimistic that we can turn things around, but it’ll take more of us playing as if we’re down to our last out. Let’s be the change we want to see in the world and hopefully, we’ll get our atmospheric CO2 back down to 350 PPM within our lifetime. Then we can all celebrate like David Freese did last week. Still here? Thanks for hanging in there. I’ve got one more thing to share today. The title for this post comes from a speech by the former NC State basketball coach, Jim Valvano, who guided his team to a highly improbable win in the 1983 NCAA Tournament. Coach Valvano was battling cancer at the time of his speech and died soon afterwards. Before he passed on, Coach Valvano created a foundation (http://www.jimmyv.org/) which is “Dedicated to saving lives by helping find a cure for cancer.” If you haven’t seen this before, I assure you it’s worth the eleven minute investment. If you have seen it before, you know it’s worth watching again. The plan to evict the #occupywallstreet protesters was dropped this morning as thousands of people arrived to bolster the crowd. My guess is that those who oppose the movement will bide their time and look to sneak back in for their dirty work later. When they do, I doubt they’ll have the desired effect. Had they dispersed the crowds in the first week, there would have been much hand wringing, but that might have been the end of it. I expect that’s no longer the case. 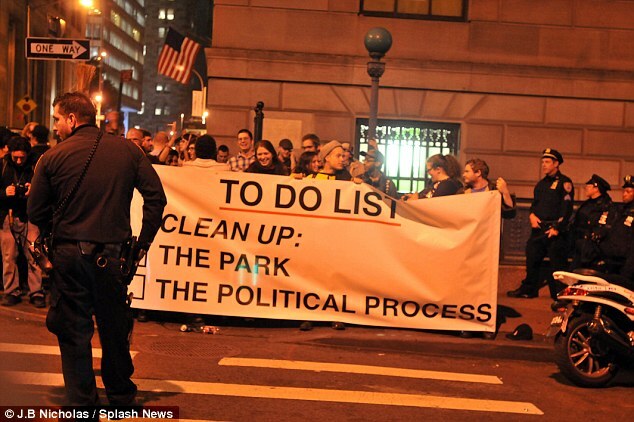 Should they evict the crowds from Zucotti Park now, they’ll just reassemble elsewhere. Maybe they’d occupy Central Park next. Plenty of room there… What I think those who would oppose the protesters realized, is that the protest has become a hydra. Should they decide to cut off one metaphorical head, the result will be that three more pop up. “For every thousand hacking at the leaves of evil, there is one striking at the root.” Henry David Thoreau. I’m working on Prezi for a talk on csr/sustainability that I’m giving to a class of MBA students next week. The class is a business ethics course at the Olin Business School of Washington University in St. Louis. (My school.) I’ve been given a window of 30-45 minutes to give an overview of my take on CSR & sustainability in the context of my professional experience and relevant education. I’m having trouble condensing this down to the most salient points of what it is, why it’s important and how they can get involved, while leaving time for questions, in the given time. I’ve listed a few of the things I’m planning to share below and would love to have your feedback. Side note: I was looking for a copy of the McKinsey Greenhouse Gas (GHG) cost abatement curve (Image below) and ran across an interesting report from the UN’s Environment Program (UNEP) “Kick The Habit: A UN guide to climate neutrality,” which I thought was worth sharing here. The cost abatement curve shows the low hanging GHG fruit on the left with all the options in green having positive financial returns. If your business is not looking at pursuing these options, you may be giving your competition a boost, as it’s a safe bet that they already have taken advantage of these options, or are actively pursuing them. The options in red imply costs rather than savings, but this scenario assumes an unchanged regulatory environment. Should a carbon tax or cap-and-trade regulation be enacted, most of these options would look more attractive while some of them would join the savings options on the left.